Prabhas garnered lots of votes under India Today's Mood of The Nation (MOTN) survey. India Today's Mood of The Nation (MOTN) survey is the talk of the Telugu film industry, with Prabhas making it to the top 5 list. According to India Today, Amitabh Bachchan and Salman Khan polled 11% of the votes making them top the list, followed by Shah Rukh Khan and Akshay Kumar polling 9% and 8% of the votes respectively. However, Baahubali fame Prabhas has also made it to the list, after he polled 7% of the votes that were cast. With the magnum opus Baahubali turning out to be a massive hit, Prabhas has gained a huge fan following across the country. People answering the ‘Who would you consider the No.1 hero and heroine in 2016-17?’ by India Today voted for their favourite stars and this is the first time that the Telugu star has made it to the list. The votes for ‘Which Movie would you rate as biggest hit in Hindi Cinema till date?’ yielded the following results: While Baahubali 2 emerged as the topper with 26% of the votes, the evergreen Sholay polled 9% and Baahubali 1 saw 6% of the votes. Aamir Khan’s Dangal followed it closely with 5% of the votes. The Baahubali franchise, directed by SS Rajamouli, was one of the costliest movies to be ever made in the history of Indian cinema. 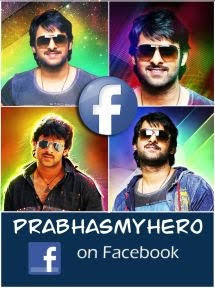 It had Prabhas playing the title role which went on to earn him a huge fan base across India.